A position as Fulbright Specialist in 2011 at ASWARA, the Juilliard of Malaysia, led to a sequence of programs supported by the U.S. Embassy and Doubletree Hotel in KL involving the training of dancers in the techniques of Dancing to Connect and conducting workshops with refugees from Burma and Sri Lanka through the offices of the UNHCR. 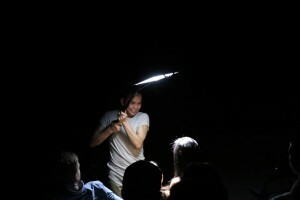 In 2015, Fairul Zahid, a graduate of ASWARA and participant in Battery Dance’s residencies in KL, scored a fellowship to pursue his MFA at NYU’s prestigious Tisch School of the Arts (where I got my early performance opportunities with the resident company, New York Dance Collective, decades ago.) Fairul’s impressive work caught the attention of our curatorial panel and he performed in the Battery Dance Festival with his dance partner, Yachao Zhu under the name of Asia Duo. Last weekend in New York City, I had the pleasure of attending a performance at the Salvatore Capezio Theater at Peridance. What follows is a brief write-up of what I witnessed. The rare partnership between the dancer/choreographers Fairul and Yachao has bred yet another rare partnership — between NYU Tisch School of the Arts and ASWARA of KL, Malaysia. 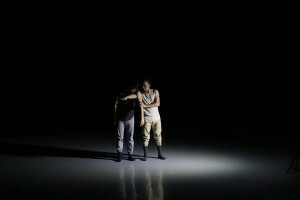 The two young men have created an alchemical relationship on stage – one Malaysian, the other Chinese – displaying an expert and highly nuanced synchronicity. Not only does this quality infuse their duets, but it spirals outwards to a mixed cast of Americans and Malaysians, all of whom manifest extraordinary virtuosity as well as impressive expressive abilities in a program of works performed over Memorial Day Weekend in New York City. A large crowd of well-wishers roared approval after each piece – well deserved. One left this concert feeling completely satisfied by the variety of movement vocabularies, the intelligent and penetrating thought process behind each work, the esprit de corps amongst the cross-cultural cast and the brisk pacing of the program. Mention should be made of the exquisite solo performed by Jessica Mantell to a recording of the first of Bach’s Goldberg Variations. Oh no, what could be added to the many choreographic treatments of this masterpiece? Choreographer Pamela Prieto had a convincing answer to that question. Each filigree in the musical score was echoed by the performer – not mimicking, rather reflecting and resonating, drops of water through sunshine. Also mention of the hilarity and savvy of Fairul’s interaction with unsuspecting audience members as he climbed into the risers, reflecting a beam of light onto random individuals and propositioning them with humor and good nature. This is a performer with rare scope in the dance/theater realm. Joseph Gonzales, Dean of the Dance Program at ASWARA revealed himself to be a talented and resourceful choreographer in addition to his estimable institution-building skills. His large group piece for the cast of Malaysian and American dancers built to a frenzied climax, holding the audience’s attention throughout. Kudos to all for a thoroughly rewarding performance. We look forward to the next chapter! Jonathan, Joseph Gonzales and the dancers of ASWARA.